Great news that the Government is considering ending Section 21 "no fault evictions" of tenants who pay their rent, don't cause a nuisance and respect their property. This is a major victory but we need to make sure that this current Conservative Government can deliver on this promise and that "revenge evictions" by landlords who will simply lie about the reasons they are evicting are also ended. By coincidence my UNISON branch has submitted a wide ranging motion on reform of the Private Rental Sector (see below) to this years National Delegate Conference and it has passed Standing orders committee! 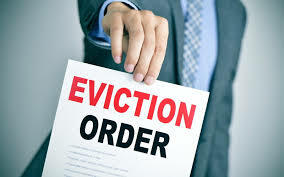 5) In the devolved nations “No fault” evictions and “Right to buy” have been abolished or restricted.